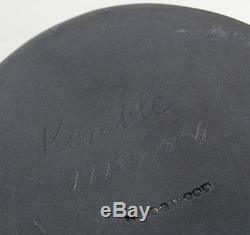 JOHN PHILIP KEMBLE Antique WEDGWOOD Jasper Ware PORTRAIT MEDALLION Plaque. 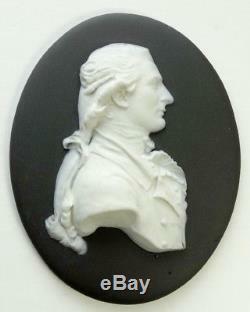 Portrait medallion of JOHN PHILIP KEMBLE, solid black basalt, white relief. He was born into a theatrical family as the eldest son of Roger Kemble, actor-manager of a touring troupe. His elder sister Sarah Siddons achieved fame with him on the stage of the Theatre Royal, Drury Lane. 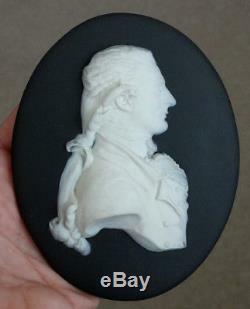 Backside of medallion is impressed: WEDGWOOD (unidentified small impressed mark below). Measures 3 7/8" x 4 15/16". Displays beautifully, with absolutely no chips, nicks, or repairs. 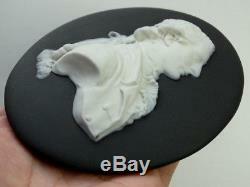 Faint crazing to white relief. GUARANTEED TO BE ANTIQUE, AND NOT A MODERN REPRODUCTION. All items are from a smoke-free home. I take extra care in packing, and you will never find inked newspaper touching your new treasures. FREE scheduling, supersized images and templates. Make your listings stand out with FREE Vendio custom templates! Over 100,000,000 served. Get FREE counters from Vendio today! The item "JOHN PHILIP KEMBLE Antique WEDGWOOD Jasper Ware PORTRAIT MEDALLION Plaque" is in sale since Tuesday, August 21, 2018. This item is in the category "Pottery & Glass\Pottery & China\China & Dinnerware\Wedgwood". 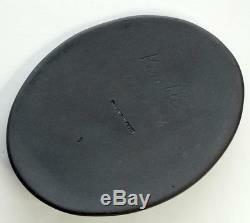 The seller is "pryankee" and is located in Saint Petersburg, Florida. This item can be shipped worldwide.